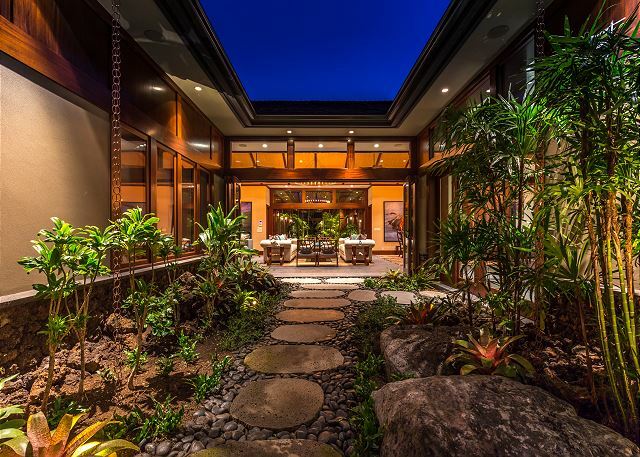 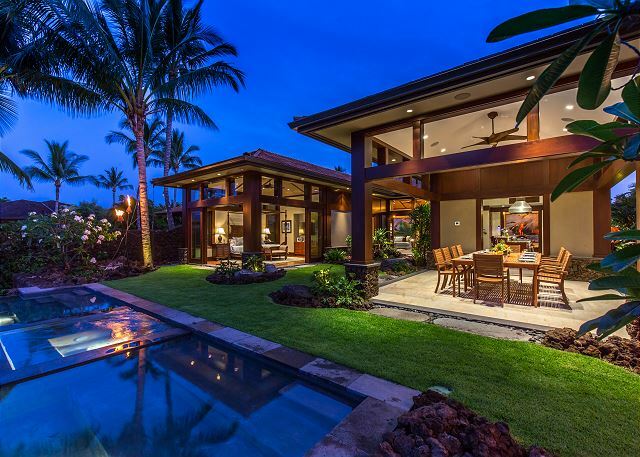 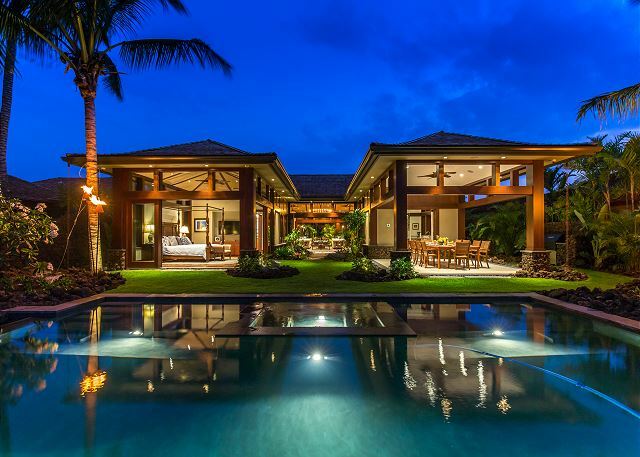 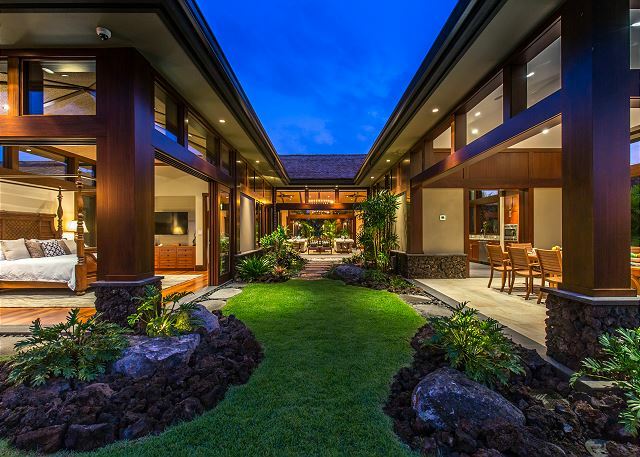 Hualalai Contemporary Estate – Luxury Vacation Homes, Inc. 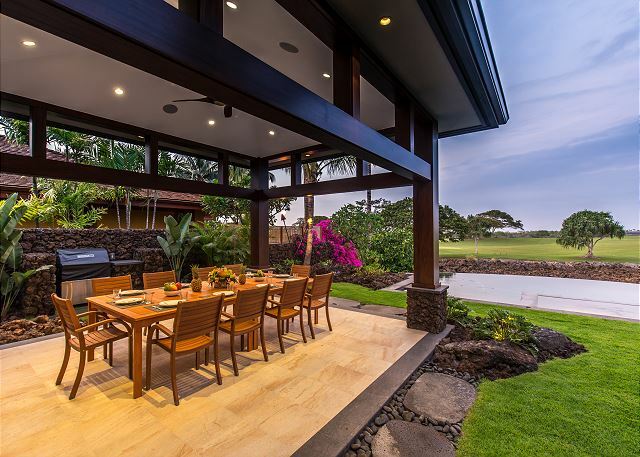 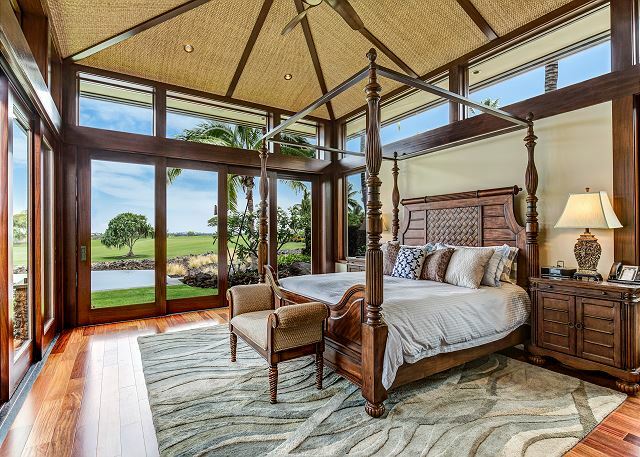 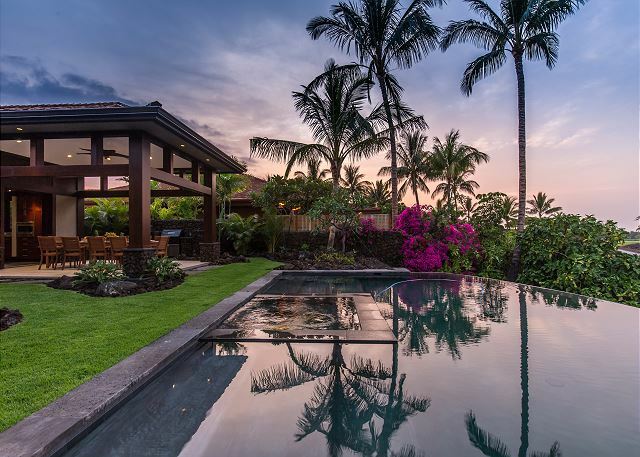 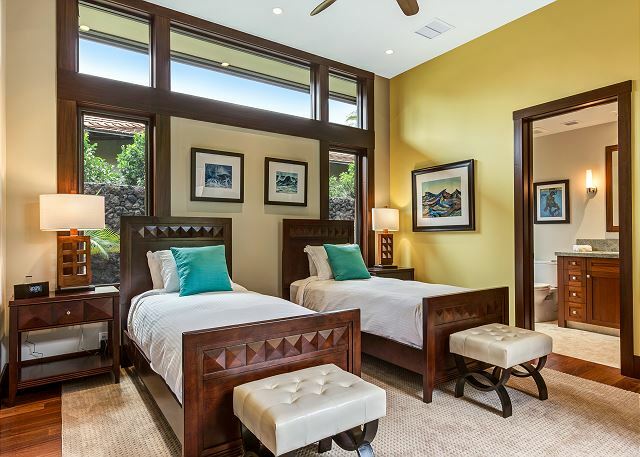 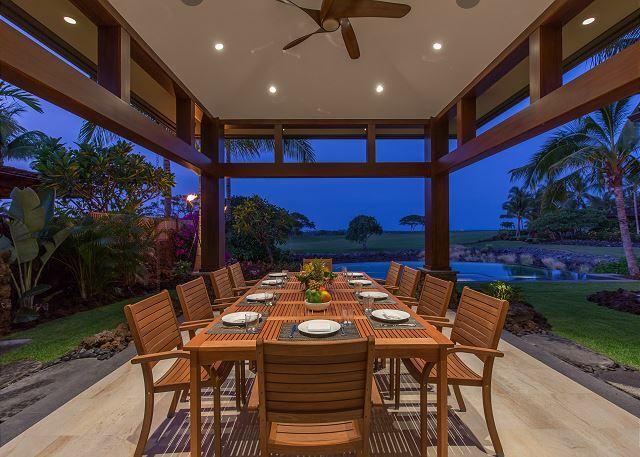 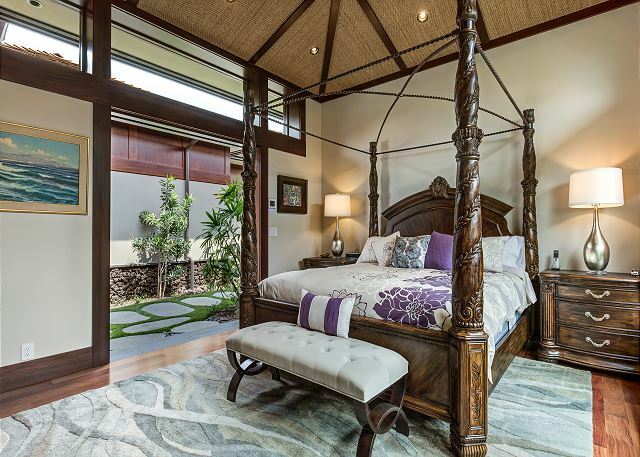 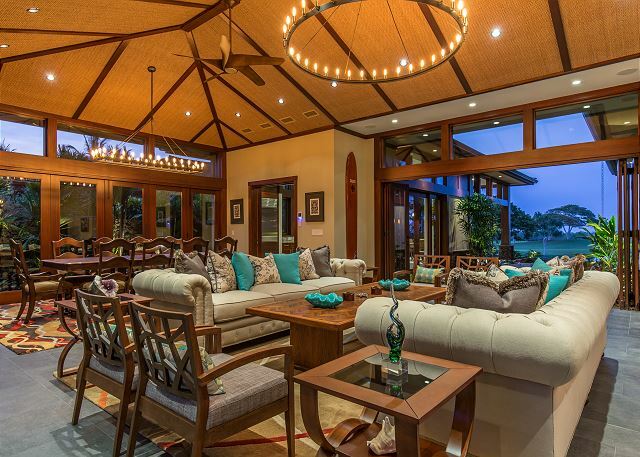 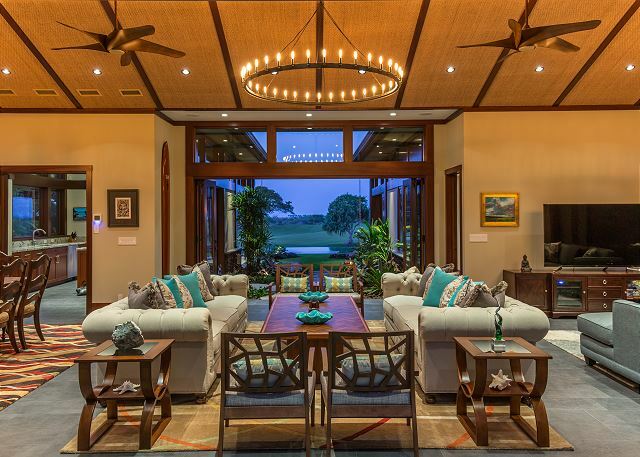 This beautiful 5 bedroom, 5 bath home is newly designed and built in 2014/2015 and is conveniently located along the 9th hole of the Hualalai Golf Course, just a few minutes cart ride to the Four Seasons Resort Hualalai. 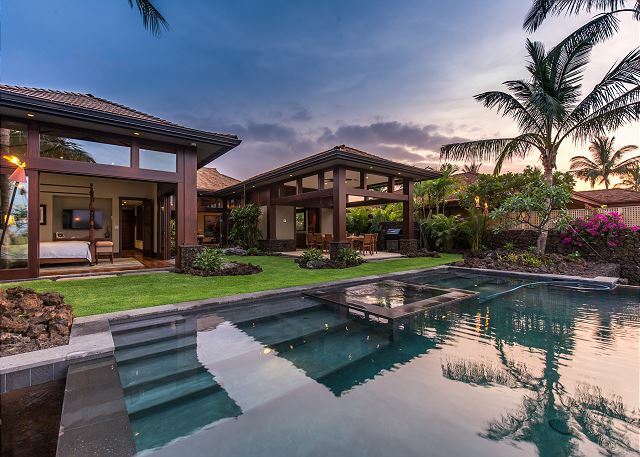 Contemporary-island style with open air courtyards throughout the home, it is an ideal setting for 2 to 10 people. 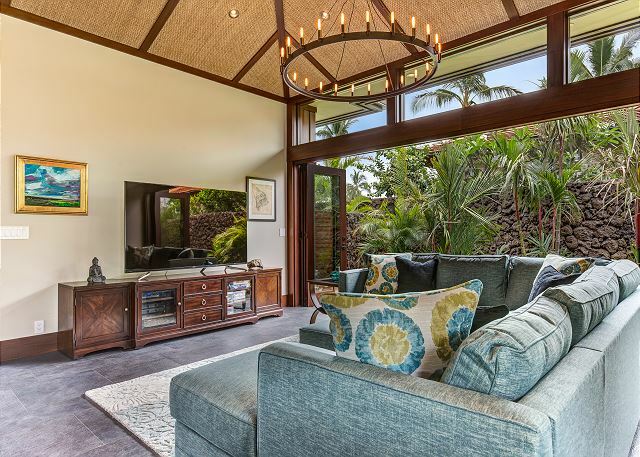 The first four bedrooms surround an open-air garden upon entry while the master bedroom overlooks the pool and spa with the golf course and ocean in the background. 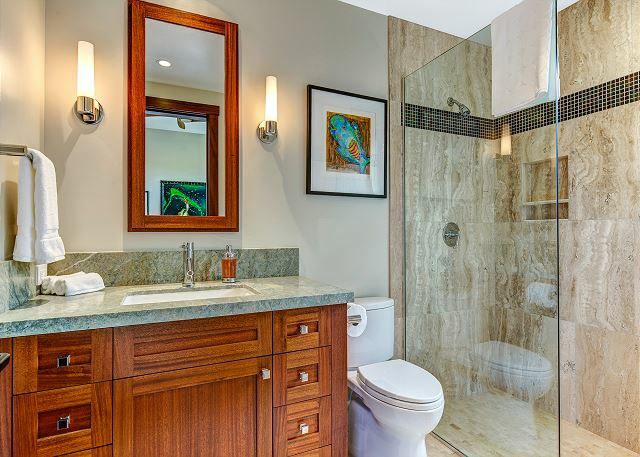 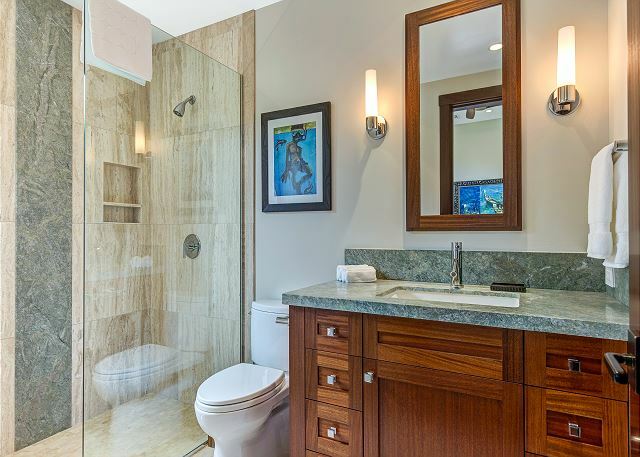 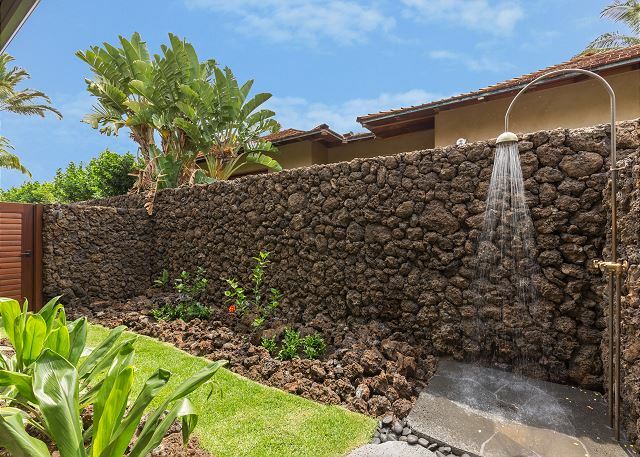 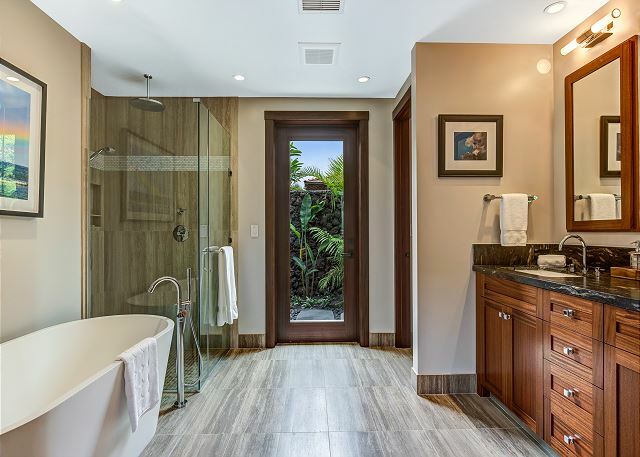 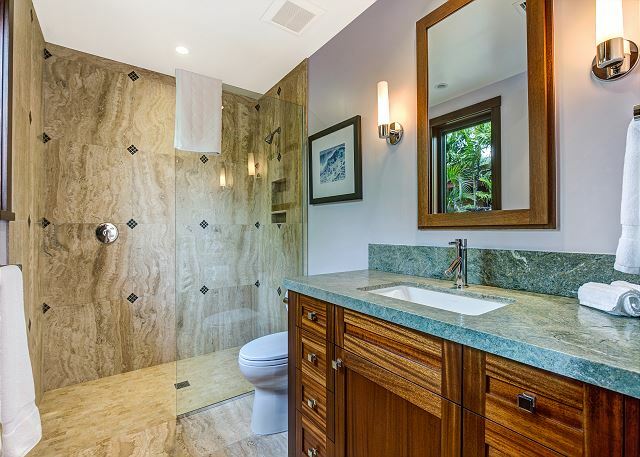 Two of the guest rooms feature Hualalai’s signature outdoor shower gardens in luxurious ensuite baths. 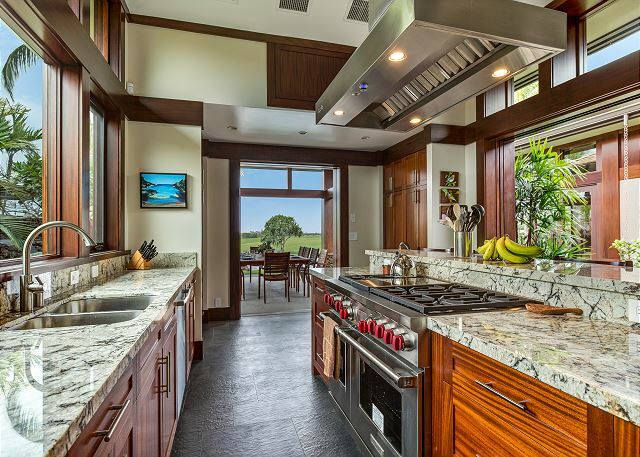 Chefs will love the open kitchen space with the finest quality appliances, gas cooking stove and complete kitchenware provided. 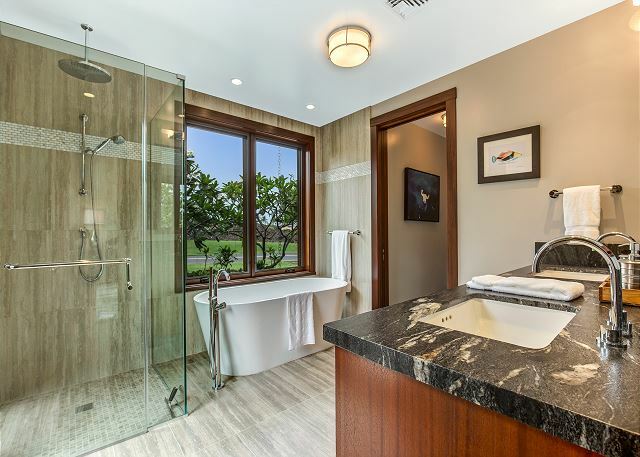 Modern conveniences include flat screen televisions for your audio/video entertainment, barbecue area and two homeowner golf carts for your use in accessing the Resort amenities. 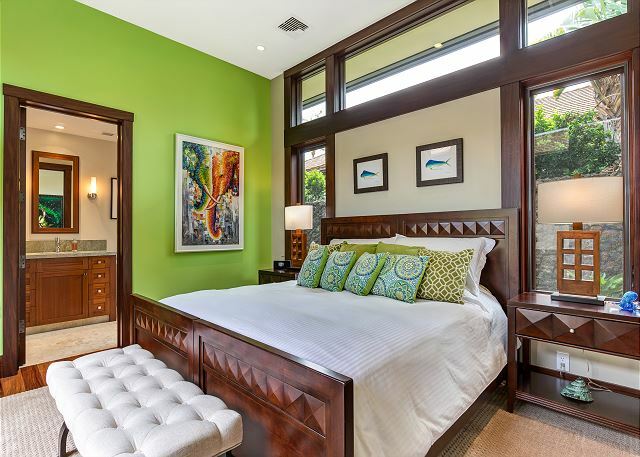 This home has custom finishes and designer furnishings and is available for rent throughout the year. 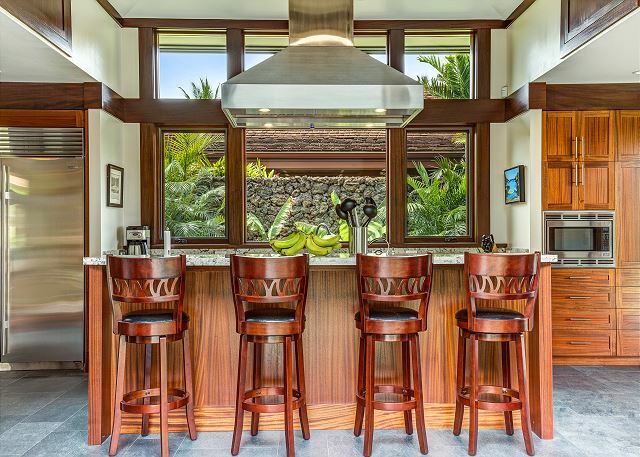 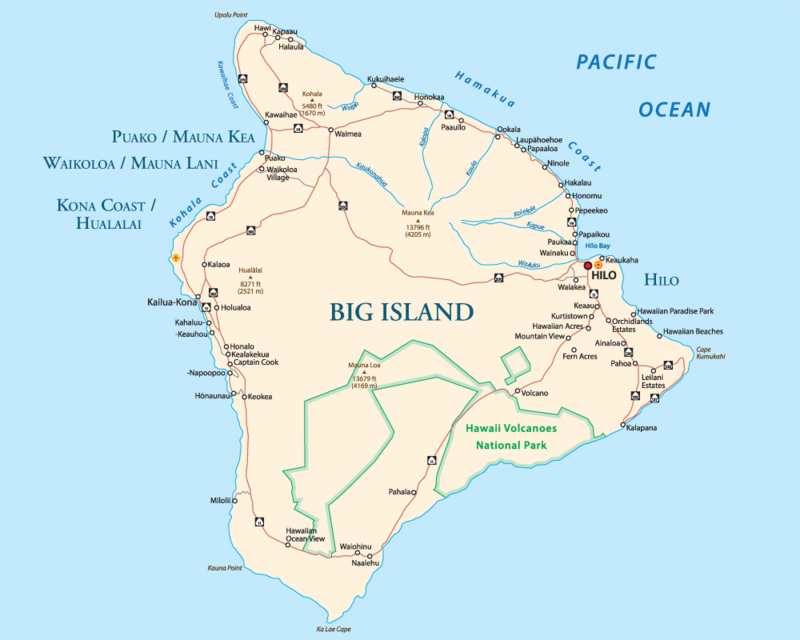 This property is compliant with Hawaii State Legislation (HB2078) for vacation rental accommodations and is professionally managed.